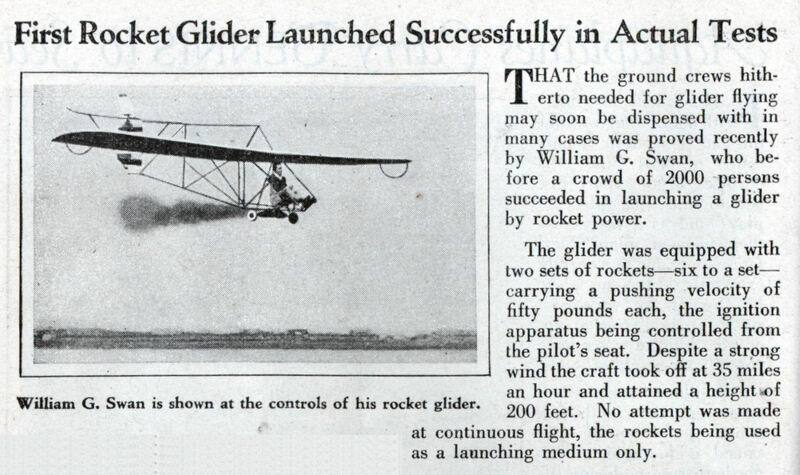 THAT the ground crews hitherto needed for glider flying may soon be dispensed with in many cases was proved recently by William G. Swan, who before a crowd of 2000 persons succeeded in launching a glider by rocket power. The glider was equipped with two sets of rockets—six to a set— carrying a pushing velocity of fifty pounds each, the ignition apparatus being controlled from the pilot’s seat. Despite a strong wind the craft took off at 35 miles an hour and attained a height-of 200 feet. 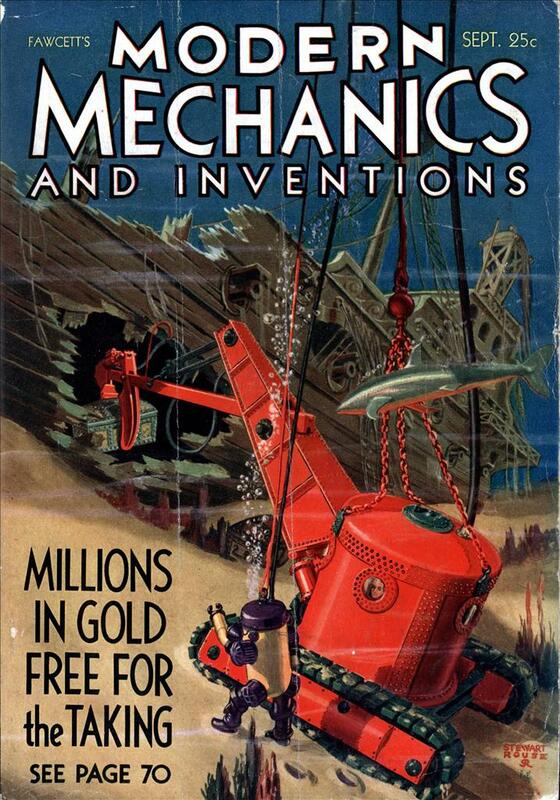 No attempt was made at continuous flight, the rockets being used as a launching medium only. 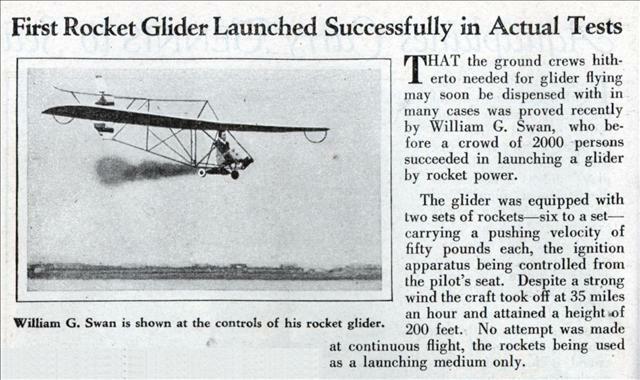 Nope, the first rocket powered glider was “Ente” by Alexander Lippisch, which flew first time on 11:th of June 1928. On the second flight, one of the rockets exploded, and Ente burned beyond repair. Northrop built one during WWII. William G. Swan was my grandfather, but we really don’t know anything about him. He died when my father was three. Do you have any more information on him? To swan’s granddaughter – I am working on an article about your grandfather. Can you contact me at [email protected]? Thanks.